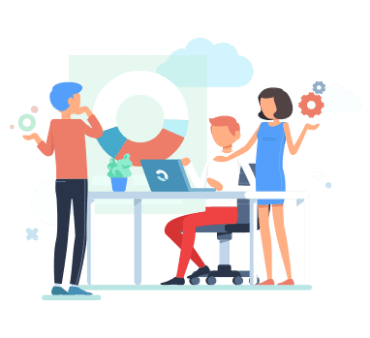 In a world where all the businesses are connected through web, a professionally designed and optimized website plays a major role in the success of any organization. This is because your website is an only identity visible to your potential clients. Creating and maintaining a remarkable website has its own advantages. We know it is difficult to manage with your existing business operations. This is when we come into the picture. Matrix Bricks Infotech is a centre, where superior technology meets creativity to optimize the performance of your business in the global market. Established in 2011, Matrix Bricks Infotech have accomplished several achievements in the areas of web designing, web hosting, search engine optimization, content management, offshore outsourcing, internet marketing, online reputation management, etc. In other words, it provides the whole range of IT services to harness the power of technology. We strive to deliver top-notch services that equip our clients to become the market leader and achieve an edge over the competition. While a number of web-based companies share a similar vision, we differentiate ourselves by the innovation we bring in. We ensure this standard of our service delivery is met every time we cater to a client. The consistency of superior service delivery is achieved with the help of a team of highly qualified IT professionals and smart technology. This enables us to develop advanced technology-driven solutions that cater precisely to the needs of the customers. Our strength lies in delivering solutions that exceed the expectations of the client and our objective is to maintain these standards. We are a fully in-house digital agency focusing on branding, marketing, web design and development with clients ranging from start-ups to Fortune 100 companies. 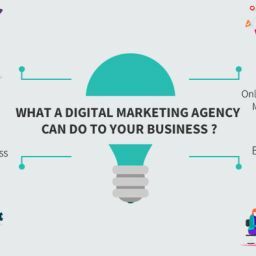 What a digital marketing agency can do to your business ?